Finally, the report of the inquiry committee formed to probe the sensational allegation of leaking of Science question papers of higher secondary final year examination by the Goalpara-based educational institution, Science Academy, has been made public on Monday and the allegation has been proved to be true. 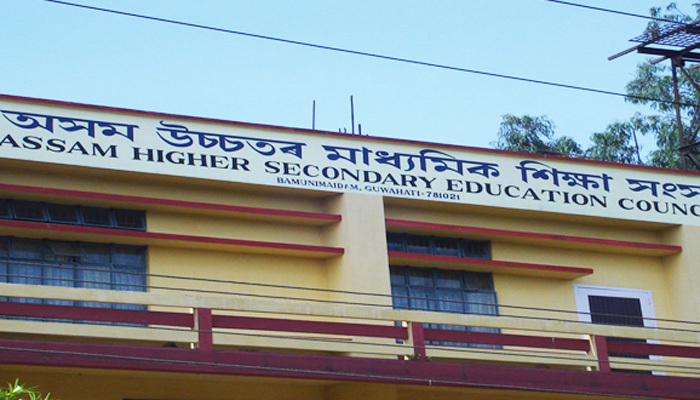 According to the Chairman of the Assam Higher Secondary Education Council (AHSC), Dayananda Borgohain, the similarities between the sample question papers given to the students of the Science Academy and the actual question paper have been found by the inquiry committee. “These similarities vary from 80 to 90 pc in subjects like Physics, Chemistry and Mathematics,” the Council Chairman told media persons. The chairman also declared the cancellation of the recognition of the Science Academy, Goalpara to give a strong message to those who are involved in this notorious act and brought a stain to the Council. However, he declined the suggestions of re-examination of some papers by terming it as a Herculaneum task. The inquiry committee formed under the supervision of BC Das, a retired district judge, has reportedly expressed suspicion of involvement of some tainted Council officers’ nexus with the Goalpara-based institution which led to the procurement of the probable question papers in advance by the Science Academy. Based upon the findings by the inquiry committee, the Council chairman has already hinted at handing over the case to the CID, Assam. Meanwhile, the cancellation of the recognition has come as a big blow to the once premier institution of the district. Both the parents and students have broken down after the announcement by the AHSEC chairman. On Tuesday, several guardians have taken back their students from the Goalpara-based institution. They expressed their helplessness at this sudden development. However, the representatives of students’ organisations like AASU, NSUI, Satra Mukti Sangram Samiti, who fought the matter and helped the crime to come to the light, expressed their satisfaction over the inquiry result.